Description: The Woodlawn Astronomy Club (WAC) is a group of students who all share the long term goal of putting a satellite of their own design and construction into orbit around the Earth using a rocket of their own design and construction. Working towards this goal the club fires rockets, launches weather balloons, competes in rocket competitions, and meets with scientists and engineers. It is going to take years of continuous hard work and considerable growth of the club to meet our goals. We do rocket science!! Criteria for Membership: Membership is open to all students in grades 9-12 who have at least a 2.5 GPA. Members must have an interest in rockets, space, electronics, computer programming, and the design/fabrication of “stuff.” Stamina and patience to work towards long time goals is also necessary. The Mainstay of the music program at Woodlawn High School, the marching band is offered from July to the first week of November. The concert band begins the second week of November and runs through May. Successful completion of the courses earns one credit toward high school graduation. Any person wishing to be part of the music program must be enrolled in this course. The unit performs throughout the year at various functions. Schedules of these performances are usually available in October and February. Students who do not normally play these instruments may switch instruments for this group only, but they must have a level of proficiency on the secondary instrument so as not to slow down the education of the group as a whole. Jazz band focuses on improvisation, chords, and rhythms specific to the medium. Jazz band is offered during the school day, and successful completion of the course earns one credit toward high school graduation. Members receive credit for participation in the Jacket Point system. The group may perform at Concert band concerts, other community affairs, and basketball games. Description: The purpose of our WHS Beta Club is to promote the ideals of academic achievement, character, service, and leadership among secondary school students. Beta Club allows students to be recognized for high academic achievement, it prepares young people for life, and helps develop leaders of tomorrow—all while serving the school and community. Criteria for Membership: Membership is open to all students in grades 9-12 who have at least a 2.5 GPA. Members must attend club meetings and are required to earn a minimum of 30 service hours per year. New member signups are held at the beginning of the school year. Advanced Choir is an auditioned yearlong course designed for those who singers who are ready to pursue a more rigorous choir ensemble. This group attends various singing events and consistently places Superior in Large Vocal Music Assessment in District IV. Show choir aspect begins in Mid-March and the choir presents these numbers for Spring/End of Year Concert. Successful completion of the courses earns one credit toward high school graduation. Any person wishing to be part of the music program must be enrolled in this course. The unit performs throughout the year at various functions. Schedules of these performances are usually available at the beginning of the school year. Students must be quick learners and studious in this course. Daily practice is required and students along with parents must be 100% committed to the success and demands of the group. Students who have not been in choir are permitted with successful audition, but they must have a level of proficiency so as not to slow down the education of the group as a whole. LNS is offered during the school day along with some after school rehearsals, and successful completion of the course earns one credit toward high school graduation. This group also performs at Choir concerts, other community affairs. Description: WHS DECA is an academic, professional association of high school students with an interest in careers within the fields of marketing, finance, hospitality/tourism, fashion merchandising and retail, and business management. DECA prepares the next generation to be academically prepared, community oriented, professionally responsible, and experienced leaders. – Provide authentic, experiential learning methods that prepare members for college and careers. – Apply knowledge through rigorous project-based activities that require creative solutions with practical outcomes. – Connect with businesses to provide members realistic insight into the industry and to promote meaningful, relevant learning. – Promote competition which drives members to excel and improve their performance. Mission Statement:: DECA prepares emerging leaders and entrepreneurs in marketing, finance, hospitality and management in high schools and colleges around the globe. Description: The drama club explores a variety of dramatic activities including: improvisation, mime, play writing, musical theater, technical theater, theater games, readers theater, and puppet theater. Students will have an opportunity to build confidence by performing in front of groups. Also, there will be many opportunities for drama club students to perform for their peers at school and the community. The drama club is open to any student in grades 9 through 12 at Woodlawn High School with an interest in dramatic activities. We normally meet every Thursday after school in the theater. Description: Fellowship of Christian Students (FCS) exists to help students make positive life choices and share Christian values with those who choose to attend. FCS is a Christian club; however, students from other faiths have attended and are welcome to attend. FCS will normally meet during both lunch shifts on Fridays. The club meets in Mr. Daniels room (Room 204). Description: The Flag Corps, a division of the band, comprises those persons wishing to express music through the use of flags, rifles, sabers, and dance. Members also frequently use costumes to perform. The corps performs alongside the band in the fall, receives additional ratings at marching festivals and competes indoors in winter and early spring. The group is responsible for any and all visual effects before, during, or after halftime shows. Applied Music/Flag is offered during the school day, and successful completion of the course earns one physical education credit toward high school graduation. Guard members are accorded all of the rights and privileges given to the band members. The study of ethics, citizenship, communications, leadership, life skills and other subjects is designed to prepare young men and woman to take their place in adult society. The Woodlawn FFA Program has four teams that participate in Leadership, Electrical, Carpentry, and Environmental competitions. Description: I CARE’S TeamSpirit club members are teen leaders, working to promote healthy life choices for themselves and their peers. Both in school and out of school, TeamSpirit club members promote safety, health, good behavior, and school spirit. TeamSpirit participates in national prevention campaigns which include September Suicide Prevention, October Red Ribbon Month, November Tobacco Prevention , December/January /February Violence Prevention and April/May Alcohol Awareness Month. By participating in these campaigns students bring awareness about different social topics, such as the dangers of drugs, tobacco and alcohol, suicide, and bullying to the students, faculty, and staff of Woodlawn High. We also participate in the Ready, Set, Drive and Sudden Impact Programs, which both teach students the dangers and realities of impaired and distracted driving. During the spring semester, we host a Prevention Fair, which brings in multiple vendors from the local area who then share their educational resources, products, and services to help our students make educated healthy decisions in their everyday lives. I CARE TeamSpirit also helps organize and participates in Homecoming Week Festivities, the Thanksgiving Canned Food Drive, and our Santa Sack program in December. The club normally meets once a month. Description: Internship provides work based activities where students work one on one with a business partner (mentor) for a specified period of time to obtain “hands on” learning about a particular occupation or industry. The Internship may be a paid or unpaid position. The student must work a minimum of 10 hours per week. The complexity, nature, responsibilities, and pay scale of the internship position depends on the goals and objectives of the employer. Students may be allowed to work during school hours pending graduation requirements, parental, department and administration approval. The student generally works during the school day as part of a course of study. Although internships are usually short term, their duration varies as well as the complexity of knowledge and skills the student is required to master at each placement. The internship program is available to juniors and seniors who have completed most courses in their graduation requirements. The internship program is an excellent career exploration and workplace skills development tool for all qualified students. The study of ethics, citizenship, communications, leadership, life skills and other subjects is designed to prepare young men and woman to take their place in adult society, evolved as the core of the program. More recently, an improved student centered curriculum focusing on character building and civic responsibility is being presented in every JROTC classroom. There are four Leadership Education and Training (LET) Levels for JROTC. LET Level I is the basic level where Cadets learn the basics of Drill and Ceremony, how to properly wear the uniform; basic citizenship principles and basic leadership principles. At LET Level II, Cadet learn more about citizenship, first aid and nutrition. LET Level III Cadets learn more about leadership, begin taking on more leadership responsibilities within the Cadet Corps, teaching principles and career exploration. At LET Level IV, Cadets learn more about teaching (actually teaching classes), financial management, leadership and a basic introduction to our Armed Services. The Woodlawn JROTC Program has three teams. They are the Air Rifle Team, the Drill Team and Color Guard. These teams compete in Baton Rouge area competitions as well as competitions throughout the state. Cadets represent Woodlawn at our major sporting events as well as represent Woodlawn during our own Veterans Day Ceremony, while participating in Veterans Day Ceremonies throughout the city of Baton Rouge. We also have days where Cadets visit Veterans Homes, visit colleges, participate in the Annual Jones Creek Parade and an event we are very proud to participate in, the “Wreaths Across America” ceremony where Cadets lay wreaths on the gravesites of Veterans at our National Cemeteries. One of our most popular events is our Annual Military Ball, where male Cadets dress in their formal uniforms and our female Cadets dress up in formal evening attire. To become part of the Panther JROTC program, you can contact Colonel (R) Eric Keys; 1SG (R) Jessie Fair or SFC (R) Jill Pearl. Description: Literary Rally is a competition in which Louisiana students in seventh through twelfth grades come together in one of nine districts to compete in designated subject areas. Students may only compete at one district rally location in one subject area. Students at Woodlawn High School are selected based on their academic strengths as determined by a faculty committee made up of teachers, administrators and advisors. It is considered an honor to be selected to participate in this event. Winners will be eligible to compete at the Louisiana State Literary Rally competition. Description: The purpose of National Honor Society is to recognize outstanding high school students. More than just an honor roll, NHS serves to recognize those students who have demonstrated excellence in the areas of scholarship, leadership, service, and character. Criteria for Membership: Membership is open to students in grades 10-12 who have at least a 3.0 un-weighted GPA. Members must be selected by the Woodlawn High School Faculty Council in order to be inducted into the National Honor Society. Description: The Newspaper course is designed to give students a basic understanding of journalism, including writing, editing, and photography. Joining the newspaper staff gives students the opportunity to share Woodlawn’s great accomplishments with the community as well as explore local, national, and international media topics. Students will write, edit, and layout issues of the “Panther Post”, both in print and online, and submit various news articles to the Woodlawn website. Although this is a class that takes place during the school day, the course requires some out-of-school time for news coverage. Criteria for Joining the Staff: Students must be in either 10th, 11th, or 12th grade. They must also have at least a C average in their previous English class, and they must be approved by the sponsor. Students must also be dependable for event attendance, follow through, and meeting deadlines. Description:The Orchestra program at Woodlawn High School is divided into three categories, Beginning, Intermediate, and Advanced Orchestra. Beginning Orchestra: As a part of the music program at Woodlawn High School, the beginning orchestra is for students who have not played on orchestral string instrument before or have only one year of playing experience. This class is offered at the beginning of the academic year in August and ends in May. Becoming familiar with how the students chosen instrument works, how to read music and simple literature are the hallmarks of this course. Ear Training exercises, as well as music theory are studied in this class. The beginning orchestra performs at several concerts, festivals and competitions throughout the year. Schedules of these performances are usually available at the beginning of each semester. Successful completion of this course earns one credit toward high school graduation. Intermediate Orchestra: The intermediate orchestra at Woodlawn High School is for students who have at least two years of playing experience. This class is offered at the start of the academic school year in August and ends in May. Challenging literature as well as scales and arpeggios are incorporated into this class. Ear training exercises as well as music theory are studied in this class. The intermediate orchestra performs at several concerts, festivals and competitions throughout the year. Schedules of these performances are usually available at the beginning of each semester. Successful completion of this course earns one credit toward high school graduation. Advanced Orchestra: The advanced orchestra at Woodlawn High School is for students who have had at least three years of playing experience. This class is offered at the start of the academic school year in August and ends in May. In this class, students will focus on difficult literature, performing techniques, correct tuning skills, scales and arpeggios, as well as shifting ability. Ear training exercises, as well as music theory are incorporated into the class. The advanced orchestra performs at several concerts, festivals and competitions throughout the year. Schedules of these performances are usually available at the beginning of each semester. Successful completion of this course earns one credit toward high school graduation. Description: Woodlawn High School’s Robotics Team, Panthrobotics, is the only Varsity Level robotics team in the East Baton Rouge Parish School System. Founded in 2009 by National Einstein Fellow Dr. Steven Griffin, Panthrobotics is now coached by 2014-2015 District Teacher of the Year, Woodie Flowers Award Finalist Daniel L. Eiland and has received numerous accolades throughout its seven year history. Panthrobotics is part of the world-wide FIRST® Robotics Organization, a non-profit founded by inventor Dean Kamen in 1991 in order to inspire students throughout the world to pursue careers in science, technology, engineering, the arts, and mathematics. Each year, students compete with a 120 pound robot that they design and build from scratch with the help of business professionals using the latest engineering and design tools available. The team is also responsible for a number of other activities throughout the year such as hosting the largest school-based robotics event in the state, the Dow Red Stick Rumble as well as traveling to elementary and middle schools across the area to inspire younger children to become STEAM advocates. Panthrobotics members engage in community service projects, speak before leaders of Fortune 500 companies, host demonstrations in businesses such as at the Mall of Louisiana and continue to found and mentor other robotics teams across the state. The team has won the privileged of attending the FIRST® World Championship twice in the past seven years, competing against thousands of other teams and has received national recognition for its work in providing disaster relief during the 2016 floods. Pushing for diversity, the team boasts an equal gender ratio, large minority participation, and has attracted members who would have never before considered entering into a scientific field. With a list of alumni that includes two Woodlawn students of the year, one district student of the year finalist, hundreds of thousands of scholarship offerings, and a resume that includes the founding of a new four year engineering and robotics curriculum, Panthrobotics stands at the forefront of STEAM education in East Baton Rouge Parish and in the state of Louisiana. Description: As the official dance team of Woodlawn High School the Pantherettes style of dancing is very eclectic. Their performances often blur the lines from hip hop, southern style to K-Pop. They love doing stunts and wowing the crowds. Auditions for the team are usually held in March. Description: The Prostart Hot Food Team and Management teams are comprised of students currently enrolled in the ProStart curriculum. Each team consist of 5 team members that compete in the Louisiana Prostart Invitational held during March in New Orleans. Each team has a chance to win scholarships to various culinary schools along with qualifying for the National Invitational as the winning state team. The Students then compete nationally for more scholarships. 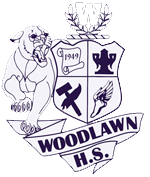 Description: The Woodlawn Quiz Bowl Team is a group of students who love trivia and information of all types. Team competition is a fastest finger challenge similar to Jeopardy but played with a team of four. Just finishing a second year at Woodlawn High, Quiz Bowl has grown each year and is seeking to grow in numbers and knowledge as we move forward. We will participate in several individual tournaments throughout the year on Saturdays. Large Competitions include Regional Science Bowl at UNO in New Orleans and the State Quiz Bowl Championship held at LSU each spring. Criteria for Membership: Membership is open to all students in grades 9-12 who have at least a 2.5 GPA. Practice is held once a week after school in room 104. Description: The Tech Club explores all new technologies. Explorations in Computer Science, Game Design, Virtual and Augmented Reality, Drones, and Video, Photo, Mobile Phone and Music Technologies. Students can earn Industry Based Certifications in hardware, software, and computer science. Tech Club members will participate in computer science, data base query, and E Sports competitions. Mission: Woodlawn High School’s Gay-Straight Alliance (GSA) mission is to create a school community where all students feel welcome and supported, regardless of their sexual orientation or gender identity. We seek to create greater awareness about the issues and unique experiences faced by the lesbian, gay, bisexual, transgender, questioning (LGBTQ) community. To promote understanding of and foster respect for all individuals that are encountered throughout our future. Description: The best class on campus!! This course teaches a variety of topics and allows for specialized hands on experiences. Yearbook teaches graphic design, we use online digital software to create layouts and designs. The class learns about photography because, the staff is responsible for taking and collecting photographs. Students learn soft skills and marketing through selling and creating the advertisements featured within the book. The yearbook is also the sponsor of the Homecoming Dance so students even get to experience event planning! And beyond the obvious skills and opportunities, yearbook also teaches us ethics, responsibility, teamwork, and the importance of tradition. Description: The YMCA Louisiana Youth and government program is a statewide initiative promoting civic engagement through the YMCA’s philosophy of being an organization that is continuously active in exercising social responsibility. This particular program promotes the tenet of social responsibility by allowing high school students to be civically engaged in a mock government setting. LA Youth and Government hosts the Youth Legislature conference annually. Meet people from all over the state with new ideas and opinions concerning government, but also those that are just like you. Voice opinions for change in our government and gives you the opportunity to be heard among your peers in Louisiana. So, if you are looking for social change and have ideas on how to make it happen, this club is for you! If you are passionate about an issue and want to make your voice heard, this is the club for you! If you just want to have a civilized argument, this is the club for you! Attend the Youth and Government conference in February in which you will propose your bill to the Youth Legislature of Louisiana and work to get your bill passed over the course of the three day conference. Cost: $150 for room, snacks and three meals. Work with Ms. Heyer and Miss Smoorenburg and Mr. Hampton to write, word properly and argue your bill throughout the year to prepare for your final argument at the conference. Description: WHS DECA is an academic professional association of high school students with an interest in careers within the fields of marketing, finance, hospitality/tourism, fashion merchandising and retail, and business management. DECA prepares the next generation to be academically prepared, community oriented, professionally responsible, and experienced leaders. Mission Statement: DECA prepares emerging leaders and entrepreneurs in marketing, finance, hospitality and management in high schools and colleges around the globe. Description: The Orchestra program at Woodlawn High School is divided into three categories, Beginning, Intermediate, and Advanced Orchestra. Panthrobotics is part of the world-wide FIRST® Robotics Organization, a non-profit founded by inventor Dean Kamen in 1991 in order to inspire students throughout the world to pursue careers in science, technology, engineering, the arts, and mathematics. Each year, students compete with a 120 pound robot that they design and build from scratch with the help of business professionals using the latest engineering and design tools available.The team is also responsible for a number of other activities throughout the year such as hosting the largest school-based robotics event in the state, the Dow Red Stick Rumble as well as traveling to elementary and middle schools across the area to inspire younger children to become STEAM advocates. Panthrobotics members engage in community service projects, speak before leaders of Fortune 500 companies, host demonstrations in businesses such as at the Mall of Louisiana and continue to found and mentor other robotics teams across the state.